What says sunshine more than bright yellows? 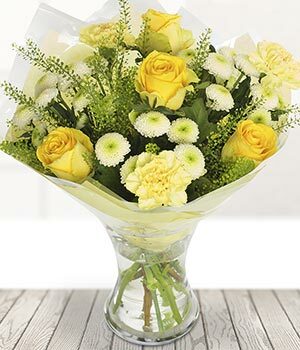 Shimmering yellow roses and illuminating carnations will deliver a ray of sunshine in any room. A drop of sunshine delivered, in bud, so the bouquet can be enjoyed for longer.